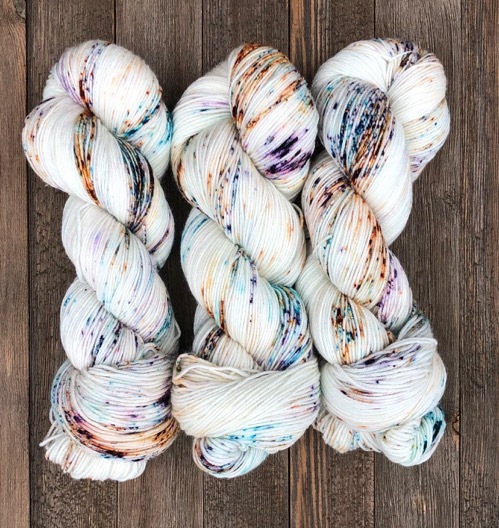 Kona is a speckled color way full of bright blue, orange, and purple. 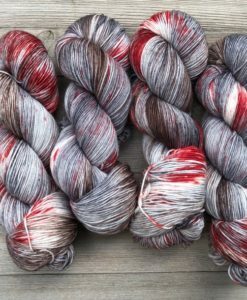 Variations of color intensity can occur between skeins since they are all dyed in small batches of two. No two skeins will be identical.